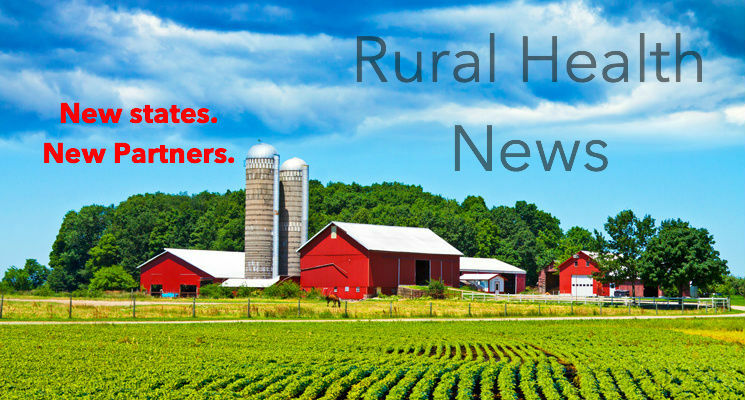 Local coverage of health care and health issues is declining, especially in rural America. It’s often said that “all health care is local.” Unfortunately, these days, most health care journalism isn’t. The decades-long decline in newspaper staff has put good local health care reporting on life support. And it couldn’t come at a worse time. The passage and implementation of the Affordable Care Act (aka Obamacare), the aging U.S. population, the obesity epidemic, and many other issues are bringing huge changes to our health care system, and that makes it more important than ever to get objective, comprehensible information to people where they will see it and read it. The paucity of information is perhaps most critical in rural America. About 15 percent of U.S. citizens live in rural areas, yet the news sources they rely on are typically starved for cash and short-staffed. Most have no dedicated health care reporting. That’s why in 2012, The Commonwealth Fund teamed up with the Nebraska Press Association (NPA) for an experiment that is already having a dramatic impact. I described the Rural Health News Service Pilot Project in an earlier Communications Network post. And the Columbia Journalism Review did a piece about it last year. The idea is simple: to provide rural citizens access to unbiased health and health care information through a well-accepted delivery model. The NPA had convened community meetings where there was broad agreement about the need for better information about health care and the health care system. And there was also consensus that one way to begin to fill the void was through community newspapers – the daily and weekly papers that serve local residents nationwide. These papers have staggering readerships that any national publisher would envy, often topping 90 percent. The project began, of course, in Nebraska. Every other week, an independent journalist crafts an article on some salient health care issue – Medicare, drug prices, signing up for insurance through the ACA marketplaces – and the piece is distributed via email to more than 200 community newspapers. Within the first few weeks, dozens of papers – including the majority of those with small and mid-sized circulations – were running the articles. Soon, some of the larger papers began to pick them up as well. And the editors began hearing from readers: they love getting this news. They’re starting to understand some of these complicated issues. Keep them coming. After the first year, the project expanded to Colorado and South Dakota, with similar success. And this year Indiana has joined the list. In every case, the state’s press association and paper editors have seen the value of the model: independent health news that people can use, developed with rural audiences in mind, sometimes customized for each state, and delivered through a trusted vehicle, the press association. Many of the topics are, of course, relevant to all states. For example, a recent column dealt with a question from a Colorado reader about the use of emergency rooms and urgent care centers, and inserted facts that made it applicable to the other states served by the project. Over the coming months the project is reaching out to each state’s congressional delegation to find out what sort of health-related issues constituents are raising most often, to identify future subjects. So why am I telling you all this? Because there is a hunger for this kind of information in still more states. We don’t want to stop at four. And you can play a role. The goal is to add three to four states next year. Though the press associations have begun to contribute a small amount financially to support the project, most have extremely limited resources. And The Commonwealth Fund can only do so much on its own. Are you a state-based funder or community foundation with interest in local health issues? Do you want to make sure the people in the communities you care about understand the big changes happening in their health care system? If so, drop me a line, or a tweet @barryscholl. I’ll also be at Communications Matters in Philadelphia next month. Let’s get together. Barry Scholl is Senior Vice President for Communications and Publishing at The Commonwealth Fund and a regular contributor to The Communications Network.